Weight / Stone: 55.00 lbs. The Anchor Highland Stone® with it's rough-hewn exterior and patented rear lip system is now available in both 6" and 3" heights. Use these stones alone or mixed together to create natural stone beauty without sacrificing stability. 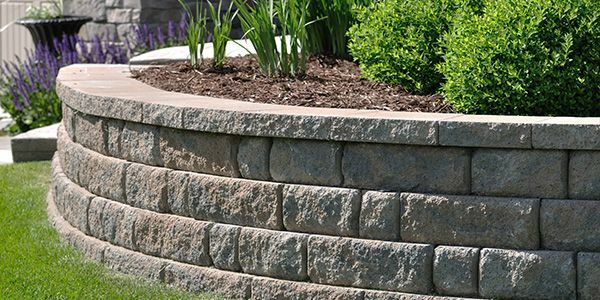 The Anchor Highland Stone® 3" or 6" Combo retaining wall system combines earthen tones, rich textures and varied contours to make it a reliable alternative to natural stone walls.